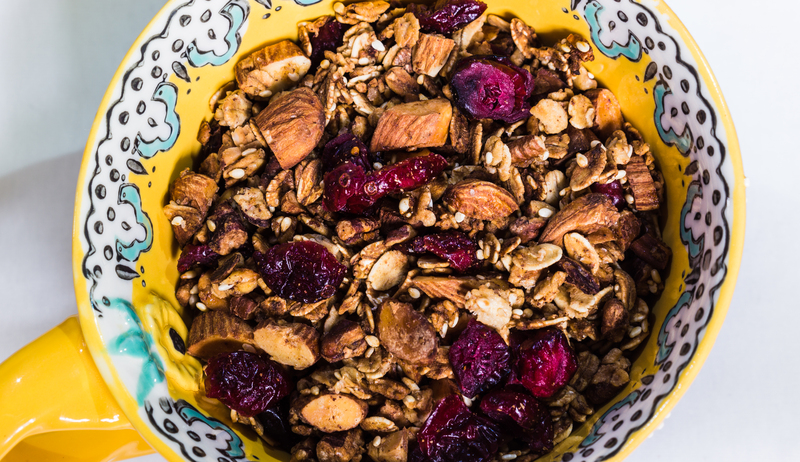 In a very large bowl, mix together the flaked grains or oats, nuts, sesame seeds, sugar, cinnamon, and salt. Microwave the oil and honey for 15 seconds to melt it. Mix in the fruit puree. Remove from oven, then cool completely. Toss in the dried fruit.